This isn't the first time Brazil's most sought after architect collaborated with one of Brazil's most affluent hoteliers - and we're guessing it won't be the last! 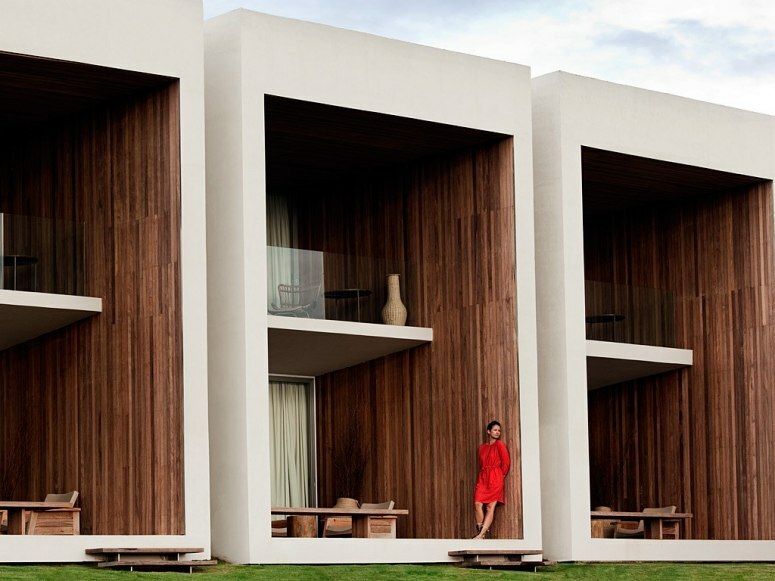 Architect Isay Weinfeld, and restauranteur/hotelier Rogerio Fasano (who recently collaborated on the making of Fasano Las Piedras) have just put the final touches on the latest addition to the Fasano hotel collection - Boa Vista. The hotel is a stunning complement to the 100 plus acres of native forests in São Paulo, which include 15 lakes, an Arnold Palmer golf course, groves, and carefully manicured gardens. 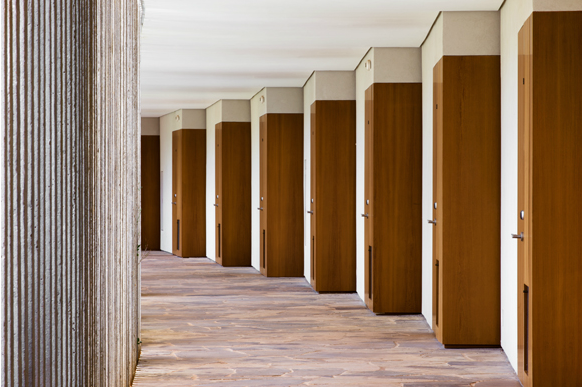 This Fasano property is a perfect marriage of Weinfeld's signature style, and the excellence and sophistication of the Fasano brand. Here, a fantastic old-world authenticity exists with the incorporation of the hotel natural surroundings, which is the overall aesthetic of the establishment. The two-level building is shaped like a half moon, where the public areas such as the lobby, restaurant, and bar, and centrally located, while the suites sprawl out on the outer curves of the building. The space is mainly outfitted with wood, stone, and glass, with the addition of some supremely cool accent pieces; many chosen from local antique shops or hand-crafted by local artisans. A variation of unique mid-century furniture pieces flood the lobby with massive wood ceiling beams that cross overhead and lead to large windows where guests can look out over the lake. Weinfeld's sensual design of the suites have a subtle calming effect with their creamy walls, warm wood flooring, and wicker wrapped lighting fixtures. Each suite has a private wood deck that faces the farms an endless rural landscape. Our favorite part of the hotel has to be it's on site equestrian center with 29 pickets and 230 stalls, giving guests the opportunity to venture into nature on horseback!